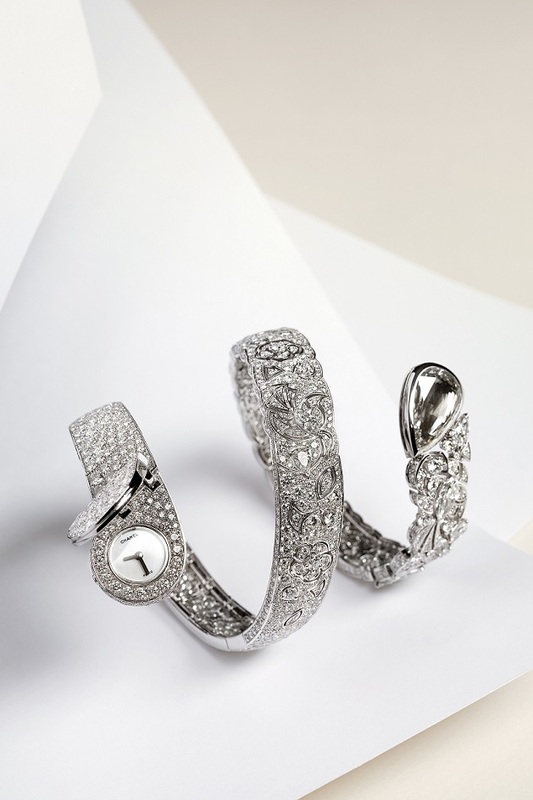 For the third consecutive year, CHANEL presents new models for its collection of Fine Jewellery watches, Les Éternelles de CHANEL. Conceived as a capsule collection, these secret watches, which embody all the creativity and savoir-faire of CHANEL Fine Jewellery and Watches, are enriched year by year. In 2017, the Fine Jewellery Studio of Creation at CHANEL reinterprets the lace and ribbons so dear to Mademoiselle Chanel with three unique pieces. Les Éternelles de CHANEL are inspired by the fundamentals of CHANEL style and reflect the ever-renewing creative spirit at the heart of CHANEL Fine Jewellery. 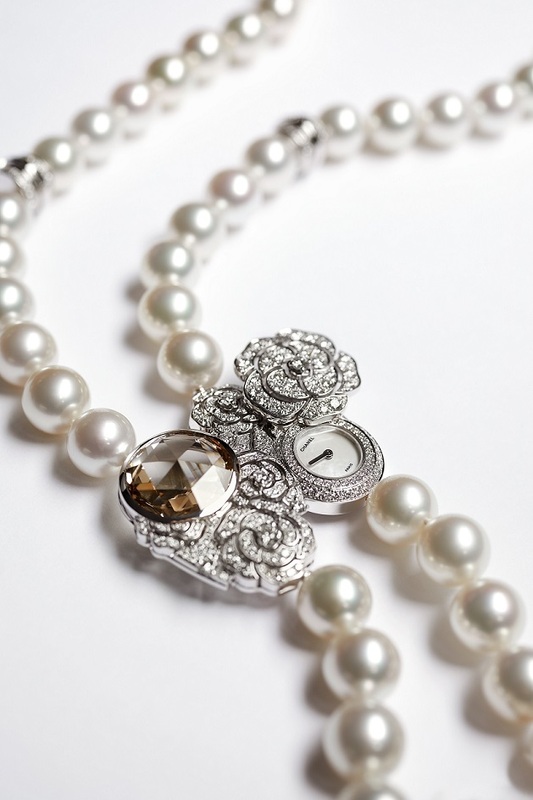 On the back of this engraved rock-crystal medallion, pearls and diamonds including a pear-cut Fancy Light Yellow 5.32-carat diamond hide a watch paved with diamonds. The medallion is set on an 18-carat white-gold chain, set with 587 diamonds. 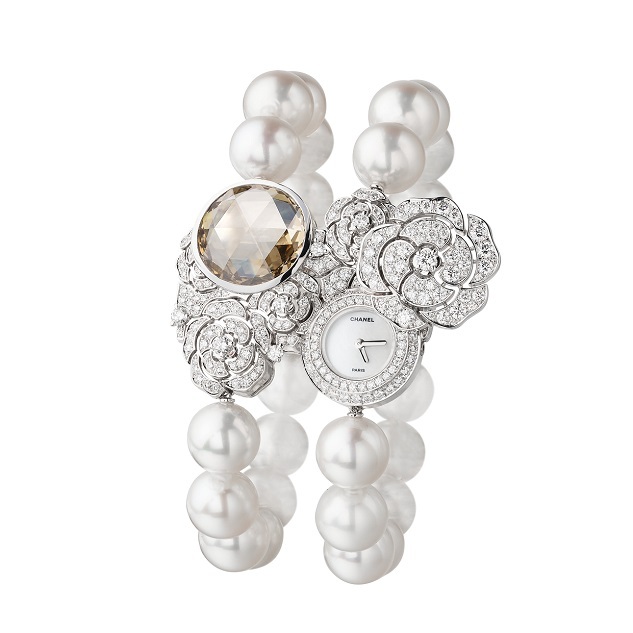 At the heart of a pearl necklace, which can be transformed into a bracelet, a watch is concealed by a bouquet of 18-carat white-gold camellias and 503 diamonds, including a 10-carat Fancy Brown Yellow diamond.